We had promised our 7 year old great-granddaughter that we would take her camping before the end of the summer. We stayed 2 nights at Lazy Day. The staff is very friendly. The park is well maintained. A lot of effort went into making sure sites are level. We were disappointed that there was no playground equipment, but overall it was a very good experience. We camped at Lazy Day Campground in a Travel Trailer. For a good meal try Dad's Junction Café, located about 9 miles east of the campground, beside the McDonalds at the I70/MO19 interchange. I like breaded tenderloin sandwiches. Mine was one of the best I have ever eaten. It was certainly the largest. I'm a big eater and the "whole" sandwich will easily feed 2 people. The place is very casual. Have stayed here before. Will probably look for an alternative (better value) campground for an overnight stop on our next trip through this area. Site was borderline to short for short bed pickup & 27' TT. 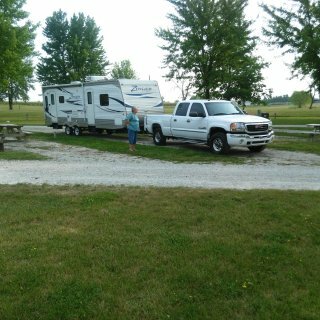 We camped at Camp Lakewood Campground & RV Park in a Travel Trailer. Only interested in an overnight stay this trip. Have eaten at Niemergs many times when travelling through this area. Always pleased with food and service. Laundry area clean. Temp was over 90 both days I stayed at camp. This site had no shade. Have stayed here before, will stay here again. 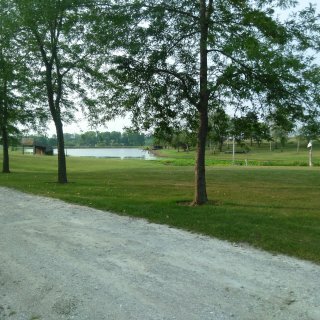 We camped at Lake Haven Retreat in a Travel Trailer. WiFi worthless, very tight spaces. Another camper had to temporarily move his truck so that we could get into our pull-thru space. He came out on his own when he saw us trying to get into our space. Said he knew we couldn't make it if he didn't move his truck. His truck was parked properly for his campsite. Campsite should be classified as a back-in, not a pull through. Lots of activities for kids if you want to rent bikes, pay to play putt putt, etc. We camped at Campers Cove RV Park & Canoe Livery in a Travel Trailer. What a gem! It is off the beaten path but worth the drive especially if you can spend a couple of days. 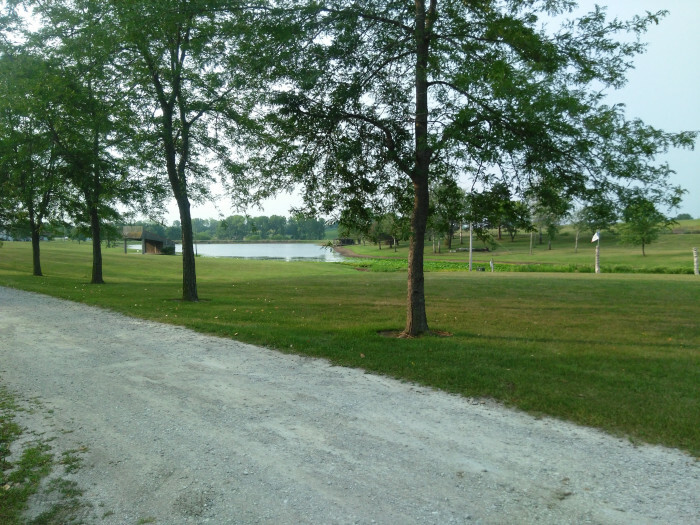 We camped at Finn Road Park Campground in a Travel Trailer. As we drove through Bay City we saw many beautiful old buildings. We wished we had a couple of days to explore the area. Boat ramp next to campground if you have a boat and want to go out on Saginaw Bay. Get a site on the water and watch the ship/boat traffic as it heads up and down the St. Mary's. We camped at Soo Locks Campground in a Travel Trailer. LOTS of things to do. Visit the Soo Locks. Take a boat ride through the locks. Check out the Farmers Market. Get a pizza at Zorba's. Pass on Antlers, unless you want to see a bunch of stuffed animals. Nice folks running the place. Lots of playground equipment. Not enough full hookup sites, but that is in the works. We camped at Kritter's Northcountry Campground and Cabins in a Travel Trailer. We stayed at this campground 7 years ago. We would stay there again if we were in the area. Few people made use of the nice heated pool and the hot tub. We would stay there again if we were in the area. We camped at Country Village RV Park in a Travel Trailer. Spend time visiting Marquette. Also, lots of opportunities to learn about iron mining in the area. There was no one when we arrived at the park, except a full timer couple who were out walking. They filled us in on where to park, etc. Park is a nice place. We would stay there again if we were in the area. We camped at Don Williams County Park in a Travel Trailer. Campground is a nice place. Owners have done a lot of "landscaping" to provide level sites. Hookups were convenient for out travel trailer. We camped at Twin Fountains RV Park in a Travel Trailer. We had a cheeseburger, a garden salad & a chicken salad at the newly opened grill. My cheeseburger was good. My wife said the chicken in her salad was very good. The lettuce in the salads appeared to have come out of a bag. If our site, and the one across the road, was an indication of other sites in the campground be prepared with LOTS of leveling blocks. The campground wasn't even half full so I assume these 2 that were occupied were some of the more level sites. The guy across the road had the front wheels of his motorhome off the ground trying to get level. I didn't want to unhook for an overnight stay. Our site was unlevel enough that, without leveling, I would not have run the refrigerator overnight. Cable & WiFi worked fine, but probably not many WiFi users. Good AT&T signal. We camped at Santa Rosa Campground & RV Park in a Travel Trailer. New park. Large sites with lots of new sod for grass areas between sites. They are still making improvements to this park. 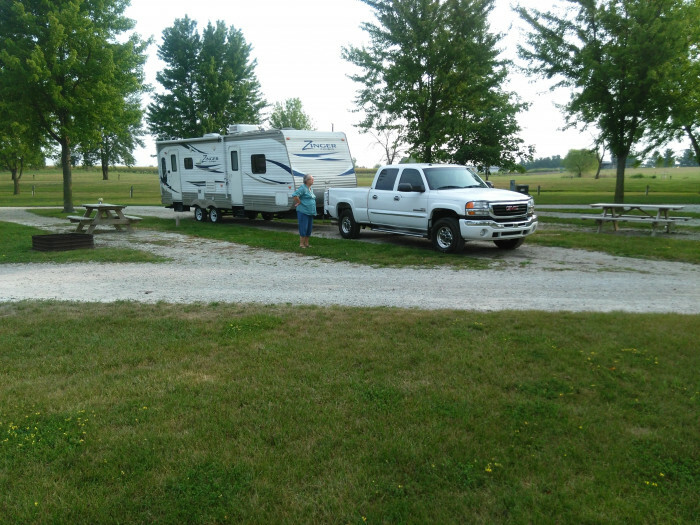 We camped at West View RV Resort in a Travel Trailer. Originally going to stay 2 nights, added 3rd night. The woman at front desk was absolutely great. All gravel, no WiFi at sites. Sewer connection at back of site, needed 20' of hose to connect. We would stay there again if in the area. We camped at Quality Inn & RV Park in a Travel Trailer. Be sure to see the small Navajo Code Talkers museum next door. Good place for overnight stay between Salt Lake City & Bryce Canyon. If park was full sites would be very close. Some leveling needed. We camped at Butch Cassidy RV Park and Campground in a Travel Trailer. Some spaces are tight getting in & out, because of trees. We couldn't put our awning out, but didn't need it because of shade. We camped at Bryce Canyon Pines in a Travel Trailer. Red Canyon & Bryce Canyon are very close.